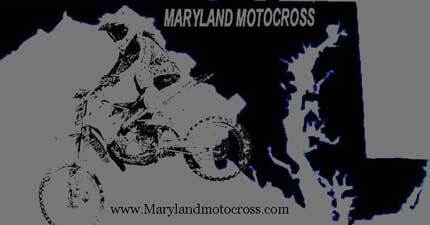 MarylandMotocross.com: I’m here with Jessye Davis, a good friend of mine, we go back a long way. How long would you say we’ve known each other Jessye? MM: It’s okay though, cause people, usually cling to me for friendship, so how old are you and how long have you been racing motocross? MM: Any story or significance behind your number, which is? JD: 245 and nope, just what I was assigned to me, I just liked it and I stuck with it. MM: Sounds like the MAN was sticking it to ya. MM:You race in the collegeboy division, correct? JD: Collegeboy and Women’s, yup. MM: I know that you’re respected by them, but what was it like when you first started racing against “the boyz”? JD: It was tough. Umm… I was scared…intimidated. MM: Man, They ever try to push you off the track or anything? JD: All the time. They still do that. MM: You ever see one of them cry when they lose to you? JD: Only when their Dad gets mad that a girl beat em’. MM: Well, more power to you I say, speaking of scary, what do you think is more scary, lawn gnomes or Carnies? JD: I don’t know what those are. MM: Okay, lawn gnomes are like those little…uh, painted, clay dwarf things, that people have on their lawns: I always trip over them and stuff (Jessye Davis Laughing) and Carnies are those scary looking people at Carnivals that operate the rides and work the booths. JD: Carnies! Cause once you get on the ride they have control of your life. MM: Any favorite tracks or events you look forward to throughout the year? MM: You ride the 125 class right? MM: Do you see yourself moving up to 250 soon? 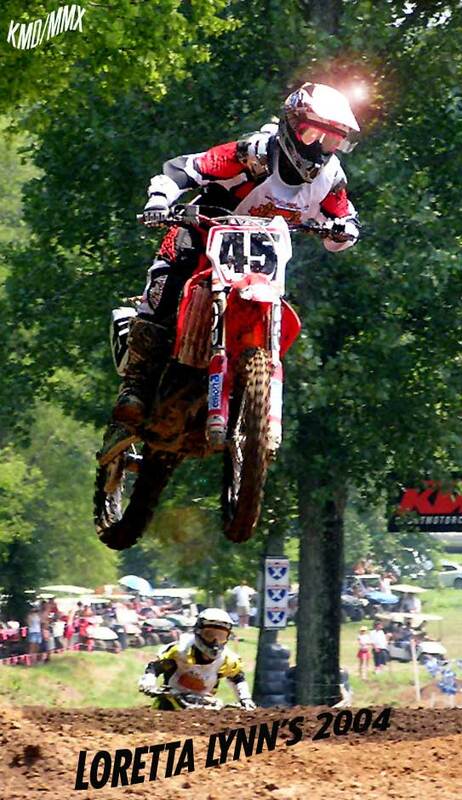 JD: Actually I rode 450 this past weekend. MM: Really? How was that? JD: It was…awesome! It was. MM: Mind if I check our your bio on the site during the interview? 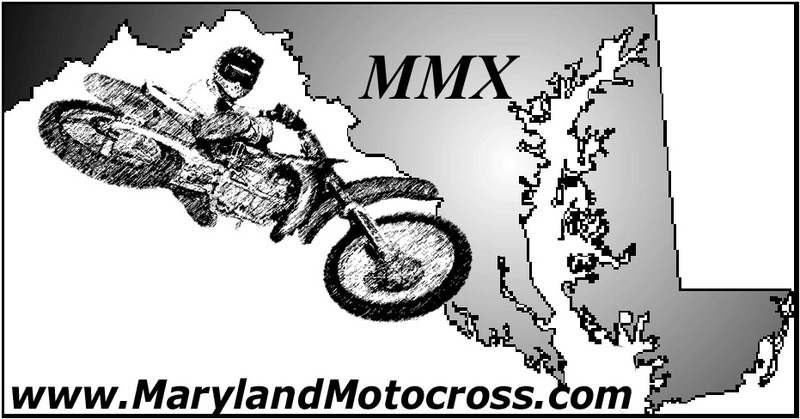 MM: (Looking it up) – Okay, Marylandmotocross.com, riders, Jessye Davis… uh-huh… Wow! You’re hot! MM: So… How you doin? MM: Any advice to anyone new to the sport? JD: Stay dedicated and follow your heart. MM: So your family and friends are extremely supportive I’m assuming? MM: Anything you dislike about the sport or would like to see change at the track? JD: Nope. I love everything about it. I mean, I wish there were more girls that I could be more competitive with locally, but that’s going to come soon because those little girls are flying. MM: I hear motocross riders need to have quick reflexes, mind if I test yours? MM: Okay great, 2+10 is? MM: Close, but No, 5+10 is fifteen, not 12. MM: You were off by like 3, but that’s okay. Any favorite brands you prefer for your riding gear or bikes? MM: Any advice for those riders now turning Pro or thinking about doing so? JD: Umm…Just like I said before, follow your heart: don’t do it if you don’t want to and you have to train to make it in the big time: you can’t just go out there and not have any endurance or anything. You have to especially have endurance. Lets try those reflexes again, quickly now, You come to a fork in the road should you turn left or right? MM: Sorry, you’re supposed to turn left. But you’re doing good it was a good try. MM: Last reflex test, lets try rapid number association. Quickly tell me the first # that comes to your head. Don’t think just say the first #. On Friday when I take you to dinner I should pick you up at? MM: Any bizarre or special training methods you use? MM: No. You don’t bench press or do any boat rowing or jazzercises? JD: (Laugh) I just… run. Do you have any hobbies that you like besides motocross? JD: Not really. I try snowboarding every now and then, but that’s about it. MM: Okay last question, When I go to events, there’s there’s this crazy guy who takes pictures of the riders. He always wears black socks, always drinks coffee, he raps and dances while waiting to take pictures. do you know him? JD: I don’t know. I think he’s kinda cool. MM: Kinda cool, I mean, dancing and rapping, that’s no way for an adult to act. JD: It’s good for an old guy. Thanks for bearing with me, congratulations on winning in 2 classes this weekend and it was very nice talking to you. In closing I must say that our relationship is moving way too fast, don’t worry it’s not you, it’s me, we’ve been through a lot, but love between a professional motocross rider and a professional breakdancer just won’t work. We can still be friends, but we shouldn’t call each other for a while.